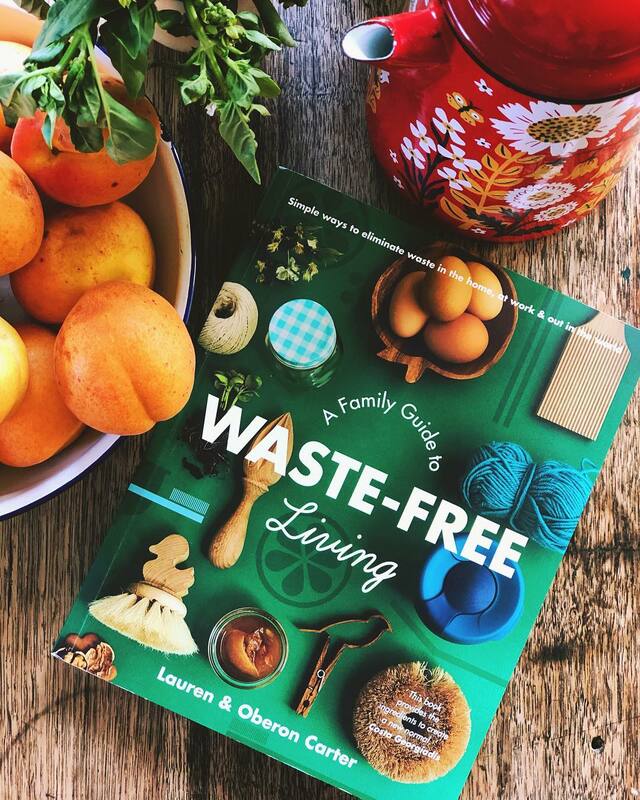 With all the talk of asylum seekers and refugees in the news recently, we got to talking about waste (a common topic around our house!) and how that relates to refugees. I asked Big Owlet "How do you think refugees manage their waste?" She said "It depends where they are staying - most often I don't know if they'd have enough money to even produce waste. I'd want to give them food from the bulk food place, instead of lots of plastic wrapped food." I followed with "What would they do with any waste they produce?" and she replied "They'd need portable water bottles (but they're expensive, right? ), hmm maybe make something that could hold water, without being disposable, but the water might be polluted so they couldn't refill it... hmm, maybe they could use special bottles that filter water? I'd go to a refugee place and hand out special bottles for filtering water and bulk food." This left us with lots of questions about the waste that might be associated with refugees and so we sought to learn more. According to the UN High Commissioner for Refugees, by the end of 2014 there were approximately 60 million people worldwide who had been forcibly displaced from their homeland (the highest level since WWII). The waste generated by this displacement is phenomenal. For example, it is estimated that 340 tonnes of waste is generated daily by Syrian refugees fleeing into Jordan (read more here). These are people who need to eat, be clothed, go to the loo, be housed, and be supported to rebuild their lives in a strange new land. There are many ways that aid money can be used to assist refugees with meeting their basic needs, and some are inevitably going to be more wasteful and environmentally harmful than others. Also, asylum seekers in transit may have few options available to them for discarding or managing any waste they accumulate, such as plastic water bottles, nappies, food packaging and broken or heavy items (e.g. see here). As at June 30th, 2016, there were 3,496 people living in detention under Australian authority. These folks are spread between Manus Island, Nauru, Christmas Island, and a few detention centres within mainland Australia. All these locations are effectively ‘food deserts’ – where provisions need to be shipped or flown in from far away. We know very little of the waste generated or managed in Australian detention centres (that information is generally not publicised), however concerns have been raised about groundwater contamination through effluent disposal and waste management on the detention centre on Nauru (as reported here). Poor waste management within refugee camps can create terrible hygiene issues, leading to spread of sickness and disease. Elsewhere, disposal of waste accumulated within refugee camps can vary. At its worst it is left where it was discarded, burned (polluting the atmosphere and local inhabitants), or trucked away to be dumped illegally in local rivers. The World Health Organisation offers a guide to managing solid waste in emergencies (e.g. in refugee camps) which includes disposal into family 'waste pits' (i.e. a hole in the ground with a lasagne like bed of waste and soil/ash) (see the guide here), however, there do not appear to be any solutions offered for high density refugee camps, such as the Shatila Refugee Camp in Beirut, Lebanon (carrying more than 20,000 people). Aid agencies do what they can to help meet the basic needs of asylum seekers in temporary camps, but a consequence of that can be huge amounts of waste from the disposable items (plastic bottles, plastic packaging etc.) provided. Having the capacity to sort, recycle and appropriately dispose of waste within camps will help to alleviate some of the health risks. In some instances, recyclable items can be sold to industry and funds raised can be directed back to support local communities. Where incineration is the norm (e.g. Greece, Jordan, Kenya) switching to energy-generating combuster incinerators may be a small step forward (as described here), although it is unclear how such technology incinerates plastics without releasing chemical pollutants. There are also numerous options for low cost, environmentally-friendly toilet systems that could be applied, depending on local resources (e.g. see this discussion). On the Australian-run detention centre on Christmas Island, there are no recycling options available (i.e. all collected waste is sent to land fill - see here). Such a lack of services is similarly apparent in many remote Aboriginal communities, where greater support is also needed to minimise and better manage waste (learn more here). At the detention centre on Nauru, there are reports of poor handling of provisions of food and bottled water to detainees, leading to excessive waste production. To avoid these sorts of waste (and human health) problems, I think it would be more beneficial to support greater integration of asylum seekers into local communities, where fresh food can be accessed (or even grown, such as in community gardens), where they can be supported to be more self-reliant, with access to more permanent services (e.g. running water from taps rather than bottled water). In Melbourne, organisations such as the Asylum Seeker Resource Centre help to assist with such resources (see their Foodbank info here). There are aspects to waste management in refugee camps/detention centres, that I would like to see discussed much more - I'd love to know of the feasibility of composting of organic waste, using compostable natural fibres over synthetics (e.g. in tents, clothing and other gear provided by aid organisations), alternative modes of water provision besides single-use plastic bottles, and extended responsibility by aid organisations and contractors for the waste-generating products they provide to refugees. This is particularly relevant in areas where people are provided with food and resources in 'temporary' camps, but where there is a high likelihood that refugees will stay in those camps for long periods (years to decades). It should not be up to refugees to solve these problems, and we as a species have the know-how to minimise the waste that refugees generate and discard, for their own health and for the environment. Wherever systems are broken, there will inevitably be waste. As individuals, we may not feel that we can do much to fix a broken system (e.g. war, rampant consumerism, and human-accelerated climate change, are all consequences of broken systems). Indeed, we can only do the best that we can do, given our own station in life. In my position as a privileged, white, male in Australia, I feel a responsibility to do what I can to enact positive change. We can also try to understand broken systems and look for solutions and options for repair. A lot of the repair will need to be grounded in a position of peace, and empathy for others. We have all kinds of tools at our disposal to communicate our feelings about the world’s injustices; it’s social and environmental problems, and offer our solutions to governments and to other decision makers. So let's do that! I talked with Big Owlet about some of these learnings and asked her what she’d like to do with respect to asylum seekers and their struggles. She said she’d like to start by making or donating food and clothing (e.g. woollen knits or sewn clothes from second hand fabrics) for refugees in Tasmania. We are also going to (re)watch the SBS series Go Back to Where You Came From to learn more about the stories of asylum seekers. Learn more about the plight of those people seeking asylum, their needs, and the challenges they face so that you can speak up about those issues. We are presently doing this with the owlets, and working out what other helpful actions we can take. Start a group similar to Bellies Beyond Borders (based in Europe), which is a creative foodwaste kitchen-on-wheels to welcome refugees (see here). Join a refugee support or action group, to help communicate messages of support for refugees, and identify way to assist people in need. Donate to an aid organisation that has a good reputation for directing helpful resources to the people that need it most. It's worth reading up on an organisation before sending wads of money to it. Devise novel ways to reduce waste and communicate those solutions to the aid organisations you support. Other helpful options are suggested here.